Specials | Pride Painting, Inc. Thanks for visiting our website! 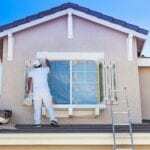 We’re promoting specials on some of our residential and commercial painting services on this page. Please check back later if you can’t find something you like. Get 20% Off Interior and Exterior Painting! At Pride Painting, Inc., we focus on quality and exceptional customer service with our painting services in the Charlotte, North Carolina area. Charlotte and the surrounding areas.